To get ready for the Upper Peninsula State Fair Aug. 14-21 in Escanaba, volunteers have been working to improve the facilities at the fairgrounds. 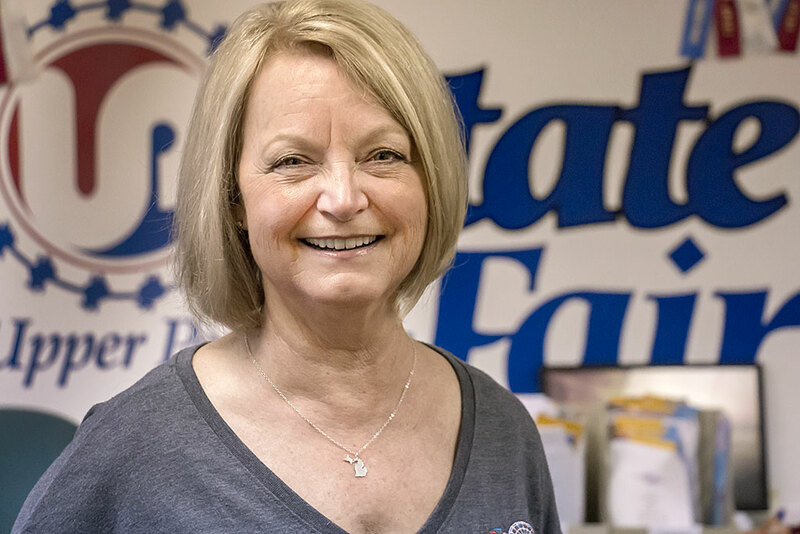 Delta Chamber Director Vicki Micheau says pens have been replaced in the swine barn, wash racks and stalls were put into the beef barn, a pavilion has been added to the Jilbert’s milk house and a new announcers booth and pavilion has been built at the equestrian center. Micheau says various groups have begun to take ownership in the success of the fair. “Since the day that the Upper Peninsula took over the fairgrounds there was that sense of ownership, that sense of U.P. pride and there are so many people that are involved that say, ‘yep, this is our fair.’ They are doing everything that they can to make sure that it continues and not only continues but continues in a very successful way,” Micheau said. Final work is being done as the fair rides and animals begin to show up at the fairgrounds this weekend. The state fair opens Monday at 5 p.m. and ends Sunday night with fireworks. Among the midway entertainment are MARTinez Studios Sand Sculpture, DNR Pocket Park, Whispering Pines Animal Kingdom, U.S. Army National Guard, Kidbucks Game Show, Great Lakes Timber Show, Antique Gas and Steam Engine Village, Woodworks Chainsaw Carving and E’Stella Aesthetics & Heartland Alpaca exhibit. The highlight of the fair are the animal and agricultural exhibit. Madison Bagwell’s pig last year was a Grand Champion at the U.P. State Fair. The Rock teenager is hoping to repeat again this year as she gets ready to show her pig next week at the fair. “My pig is going to finish at about 280 lbs. He’s a cross bred Berkshire and Hampshire. He’s name is Phelps because the pig barn theme is the olympics,” Bagwell said. Animal shows are held throughout the week. The swine show will be held on Wednesday beginning at 9 a.m. The pigs are then sold at the livestock auction on Saturday. The Educational Pavilion features the Miracle of Life and Growing U.P. Foresters exhibits. Share the post "Preparations being made for Upper Peninsula State Fair"
Categories: Activities, Delta County, and News.